Support customers and build better relationships. Keeping tracking of customer support can be a challenge, especially when you're in a team. Drag keeps track of customer conversations, in Gmail. Treat each customer like a human, not a ticket. Drag keeps customers real by keeping your conversations inside email. 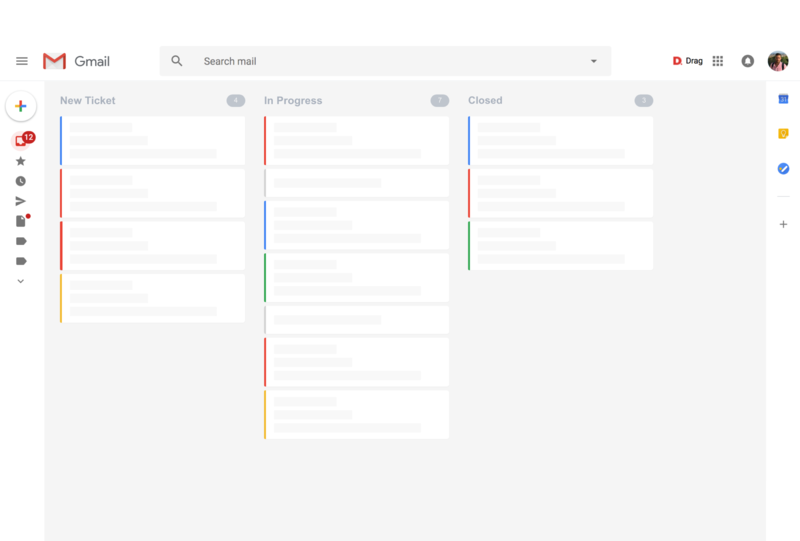 Use your Help Desk from one single place, inside Gmail. No more third-party tools or extra browser tabs to support your customers.